The Stratosphere Las Vegas has become a one-of-a-kind landmark in the beautiful Las Vegas skyline and, at 1,149 feet high, its tower is the spot for the ultimate view of the city of Las Vegas. But offering an incredible view, the highest thrill rides in the country, a bevy of dining options (at over 1,00 feet), as well as a variety of rooms and suites, is only the beginning. 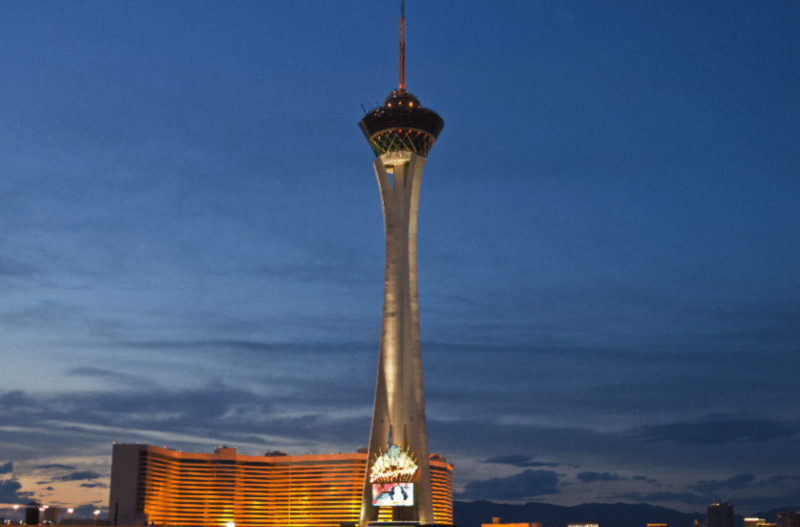 With the Stratosphere Las Vegas military discount, guest can save 10% during their entire stay. Just show your military ID when checking in. Enjoy! For more Las Vegas resort military discounts, promotions, and special deals similar to the Stratosphere Las Vegas military discount, be sure to check out our awesome listing of over 100+ Las Vegas resort, casino, and show military discounts and deals.